Federal tax depreciation deductions are only available for vehicles used in a trade or business, and are subject to change without notice. Each taxpayers’ tax situation is unique-please consult your tax advisor to determine your business’ vehicle depreciation deduction. For more information, visit irs.gov. This advertisement is for informational purposes only, and should not be construed as tax advice, or as a promise of the availability or amount of any potential tax benefit or reduced tax liability. 1. 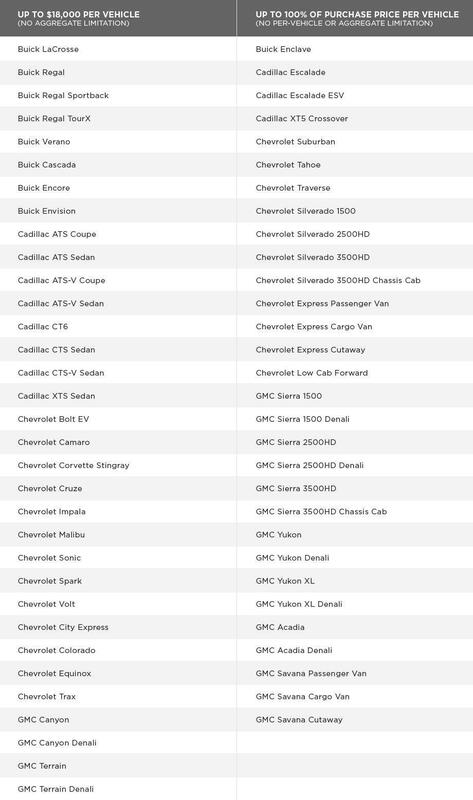 Passenger automobiles, as defined in the Internal Revenue Code (including SUVs, trucks and crossovers with a GVWR up to 6,000 lbs. ), and placed in service during 2018 qualify for immediate depreciation deductions of up to $18,000 per vehicle. 2. Trucks, vans and sport utility vehicles as defined in the Internal Revenue Code with a GVWR over 6,000 lbs. and placed in service during 2018 qualify for immediate depreciation deductions of up to 100% of the purchase price. Vehicles used in your businesses qualify – but certain passenger vehicles have a total deduction limitation of $11,160, while other vehicles that by their nature are not likely to be used more than a minimal amount for personal purposes qualify for full Section 179 deduction (full policy statement available at: IRS.gov ). Note: the deduction for business vehicles is the same whether they are purchased outright, leased, or financed with Section 179 Qualified Financing. As always, if you have questions, consult your tax professional for exact rules regarding Section 179 and vehicles.